K-Pop Korean is for Korean language learners at a basic and intermediate level. Using lyrics from 20 K-pop songs, the book contains simple Korean expressions that are often spoken in everyday life. In the book, a variety of steady K-pop hits even overseas are listed by genre and singer, raising the interest of Korean language learners familiar with K-pop. Moreover, the lyrics are used to explain grammatical structures such as verb usage as well as abbreviations and linguistic habits favored by Koreans, allowing for a more extensive learning. Charming illustrations adorn almost every page, helping the learner understand Korean intuitively, and aiding them to become used to simple conversational expressions that rarely appeared in other Korean textbooks. Moreover, the appendix contains the English translation of texts, original description of singer and song and grammar explanations in Korean, enabling learners or teachers to make good use of this teaching material. 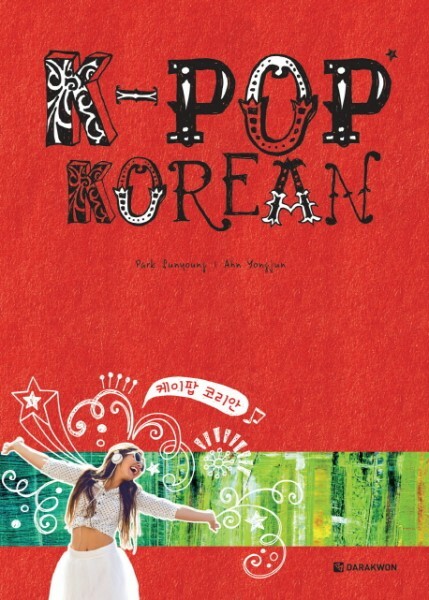 ▪ A fun book that helps you learn the Korean culture and practical Korean expressions using lyrics from 20 K-pop songs! Among K-pop songs released in the last 10 years, popular songs appropriate for basic and intermediate Korean language learners to study were selected by genre and singer, offering an opportunity to learn simple, practical and useful Korean expressions as well as the Korean culture. ▪ You can easily know by heart the various expressions and sentences from K-pop lyrics! Korean language learners can learn grammatical elements like basic Korean sentence structures, verb usage and pronunciation using K-pop lyrics that they can easily take interest in and approach. The learners can easily memorize the various expressions and sentences used in the lyrics thanks to a deeply engaging material. ▪ You can easily understand and speak Korean thanks to friendly K-pop lyrics and charming illustrations depicting different situations! The lyrics are incorporated into each chapter’s key expressions, and charming illustrations were used in exercises for learners to easily and entertainingly understand the usage, drastically reducing the burden of studying. ▪ English translations of lyrics, chapter texts and conversations are provided as well as grammar explanations in Korean in the appendix! The entire lyrics of the songs as well as the texts and conversations in each chapter are translated into English to help the learners take interest in Korean without the burden of studying. Descriptions of the singer and song are provided in English, and grammar explanations are given in Korean and English both, which makes the material more useful not only to Korean language learners but also to teachers at various institutes. Weiterführende Links zu "K-POP Korean"
Unser Kommentar zu "K-POP Korean"